If he was my kid, I’d be telling my kid that if he thinks this year’s present was offensive, wait until he sees the lump of coal he gets next year. Because, ungrateful much? 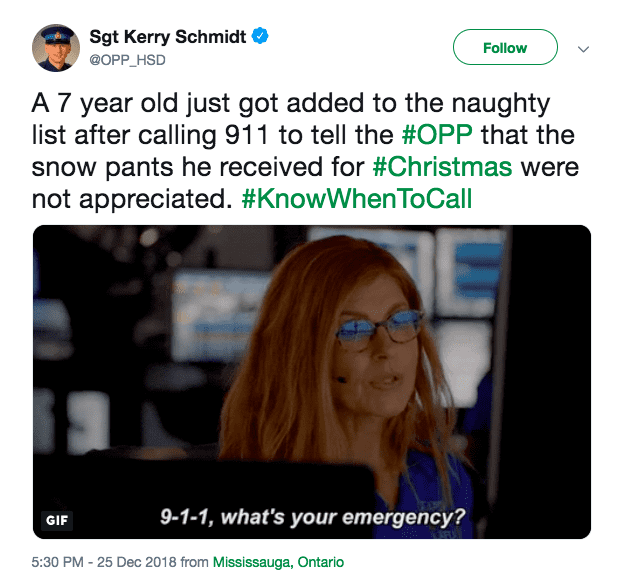 Ontario Provincial Police Sergeant Kerry Schmidt agrees with me, and he tweeted about the incident using hashtag #KnowWhenToCall to try to educate people on the issues with making non-emergency calls to 9-1-1. Not liking your new snow pants doesn’t count, young man. 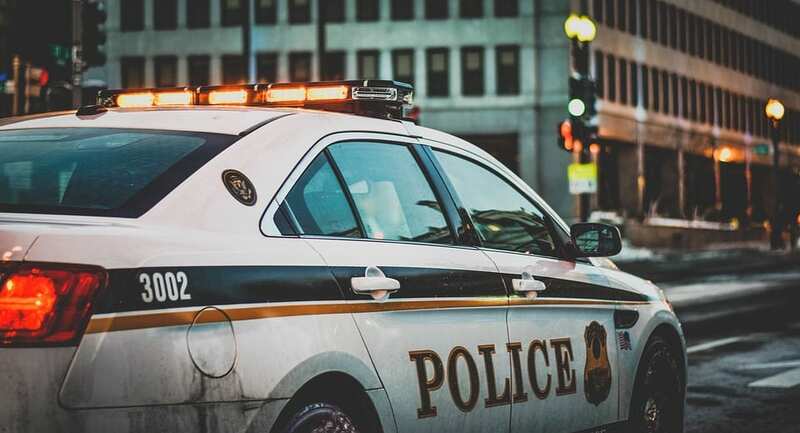 The tweet says that the boy has been “added to the naughty list” because “kids need to realize that calling 9-1-1 is critical and serious.” Staffing the line and sending officers to respond costs money that should be spent on real emergencies. Luckily, they realized the snow pants didn’t require officer involvement. Even so, the calls can take up to 30 minutes of time to handle, between the call, the followup, and the paperwork, so they’re not harmless – and it happens more than we think, apparently, because earlier in 2018 another kid made headlines when she called to report that her parents were making her clean her room. 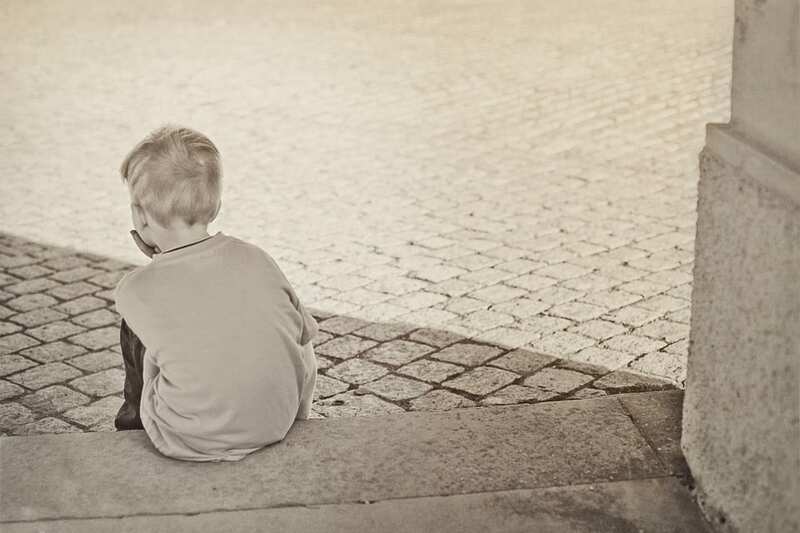 Schmidt hopes that the tweet can bring awareness and help educate both children and their parents on the consequences of calling 9-1-1 and also what constitutes an emergency. No charges are being brought in this case, but FYI, the police can issue not-too-small fines to fake callers.